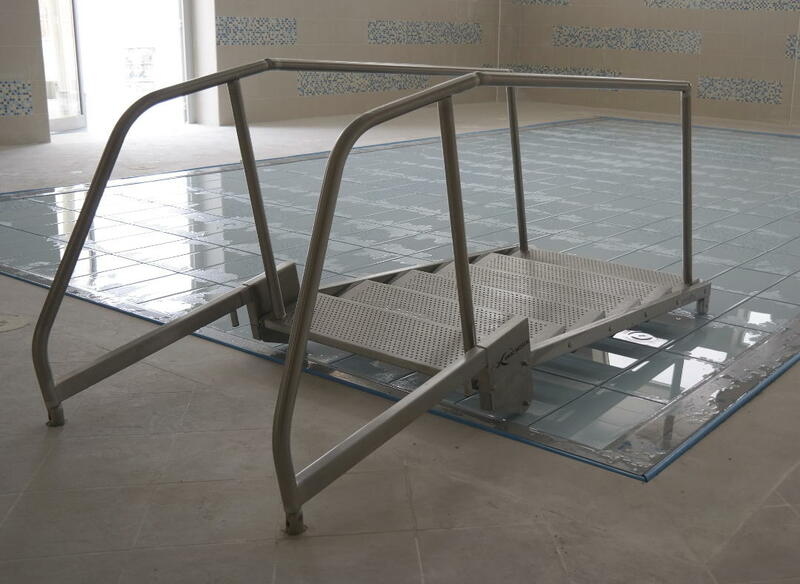 EWAC Medical introduces the self-adjusting stairs. 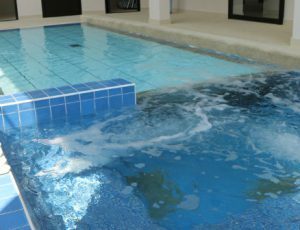 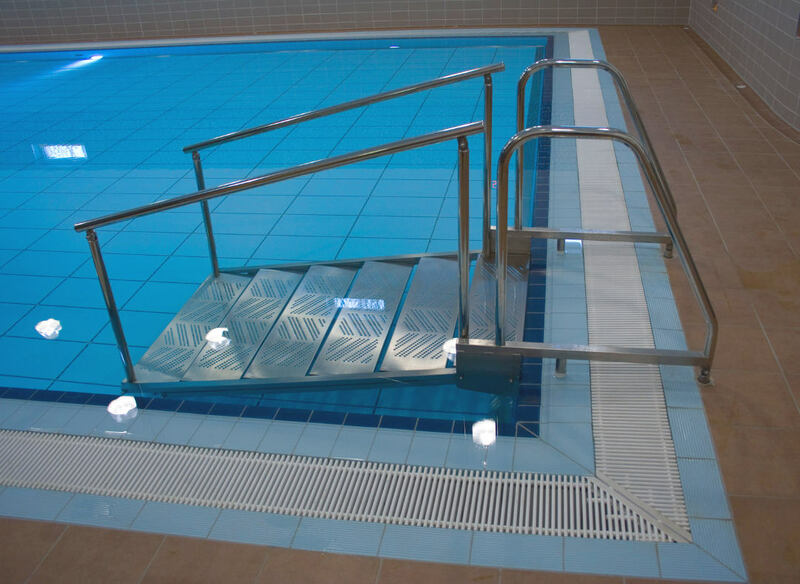 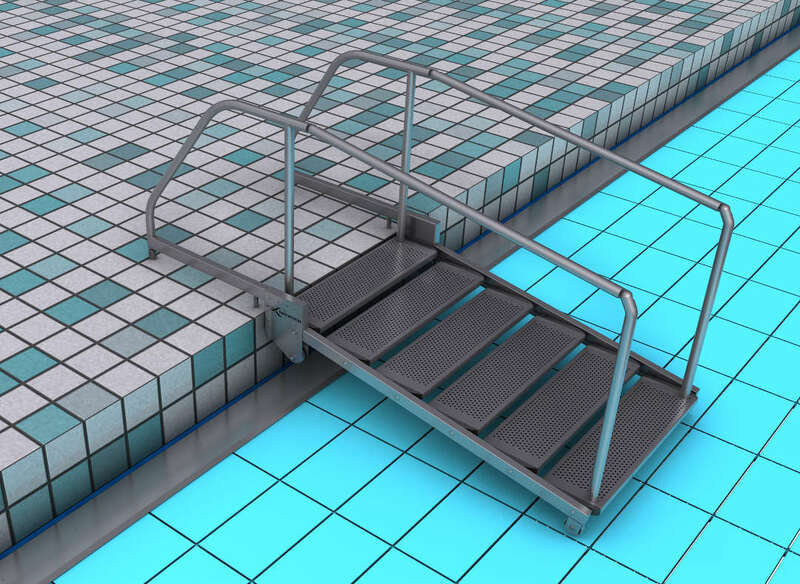 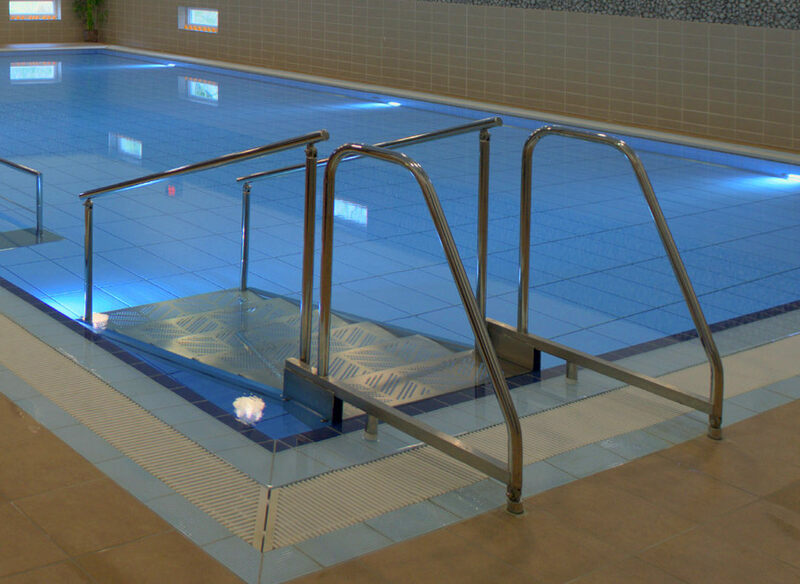 These stairs can be integrated in any of our movable floors, guaranteeing a comfortable and safe passage in and out of the pool. 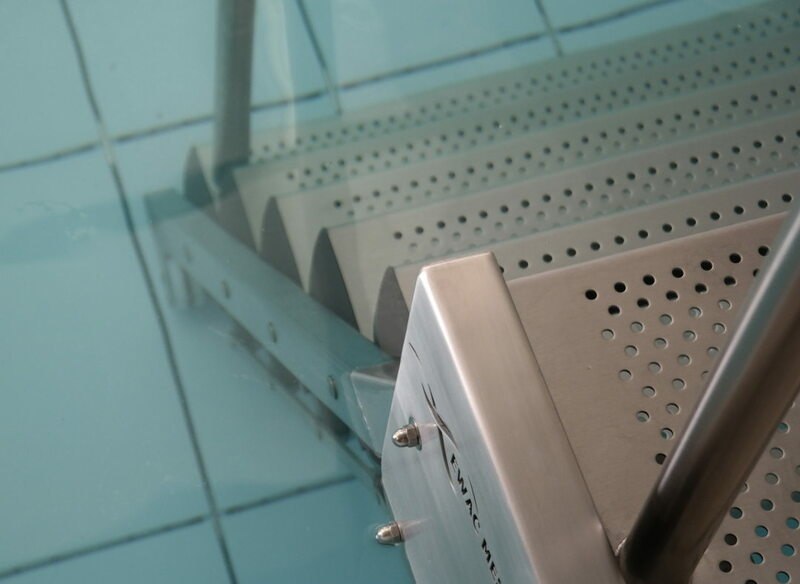 Our simple but innovative design ensures an upright position of every step in any stair orientation. 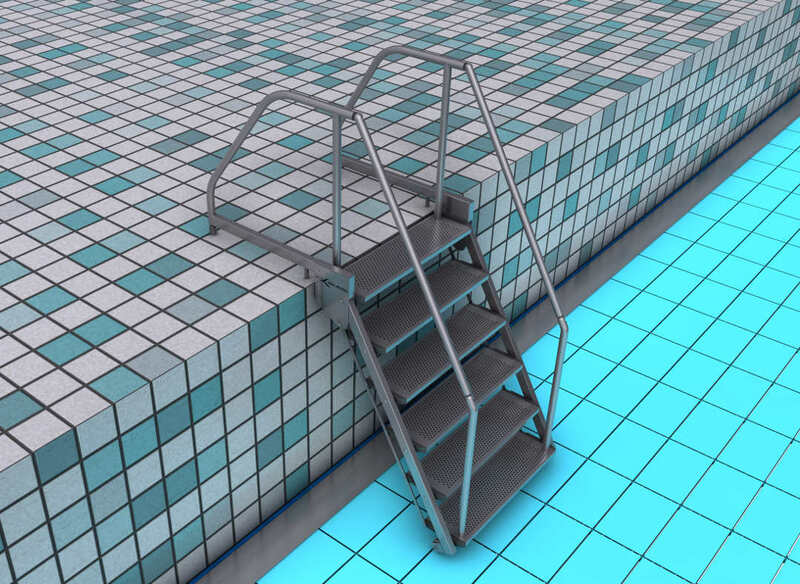 The holes in the design of the step causes grip and therefore safety. 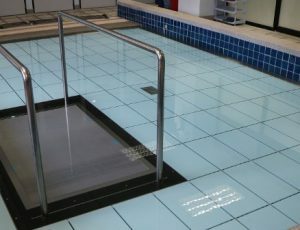 Safety is of the outmost importance and should not be disregarded during transfer in and out of the pool. 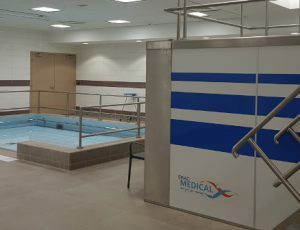 Therefore, also take a look at our transfer aids for patients that are not well on their feet. 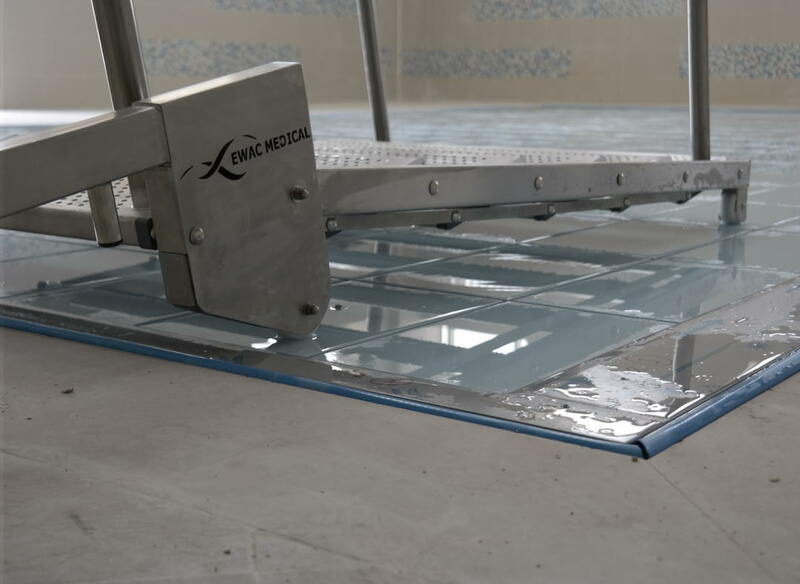 For more information and documentation about our self-adjusting stairs or our other products, please contact EWAC Medical.